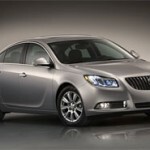 Buick has announced their plans to release the 2012 Buick Regal with eAssist (light electrification), joining the 2012 LaCrosse as the second Buick to feature this fuel-saving technology. With an estimated fuel economy of 26 mpg city and 37 mpg on the highway, the eAssist system features a 115V lithium-ion battery system, 15 kW electric induction motor-generator, and regenerative braking capability, that provides up to 15 kW of electricity to charge the battery, which will all improve fuel economy. The eAssist system also uses power stored in the battery to provide needed electrical boost in driving situations and allows the Ecotec engine to shut down fuel delivery in certain deceleration situations to save fuel. 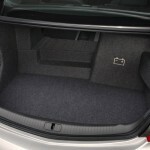 The eAssist power pack that contains the lithium-ion battery pack, the integrated power inverter and 12V power supply will be located between the rear seat and trunk, for a slightly reduced trunk space and eAssist system’s electric induction motor-generator is mounted to the engine in place of the alternator. 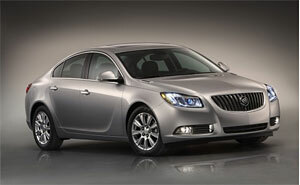 The Buick Regal with eAssist includes a 2.4L Ecotec four-cylinder, 182-horsepower engine, a Hydra-Matic 6T40 six-speed automatic transmission, lightweight 17-inch alloy wheels and tires with lower rolling resistance, fuel economy-optimizing mode for the air conditioning system, an instrument panel ECO gauge, a powerflow readout in the 7-inch screen, a hill-assist system, and improved underbody aerodynamics. 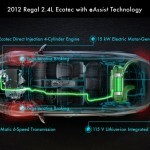 The 2012 Buick Regal with eAssist will go on sale fall 2011. Pricing has not been announced, yet.